Prepare the salsa and set aside for an hour in the fridge. Prepare the crema and set aside in your fridge for at least two hours for the flavors to set. In a large mixing bowl, combine the batter ingredients. Mix until just smooth and set aside for one hour before cooking. Cut up the fish into 1/2″ by 2″ chunks and allow to sit on a serving plate, blotted with paper towel. Ensure most of the moisture is removed from the fish before frying. You may need to switch out the paper towel when it becomes saturated. Next, place the fish pieces in the batter and evenly coat. Heat a 4-quart cast-iron chicken fryer over medium heat with 1 quart of peanut oil. 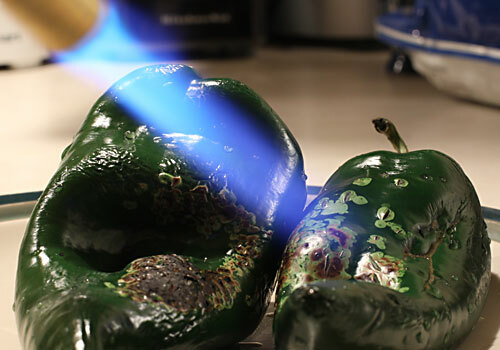 When the oil is ready for frying, a drop of cold water should sizzle on contact. Working in batches, carefully place 10 to 12 pieces of battered fish in the fryer and cook until darkly-golden brown. 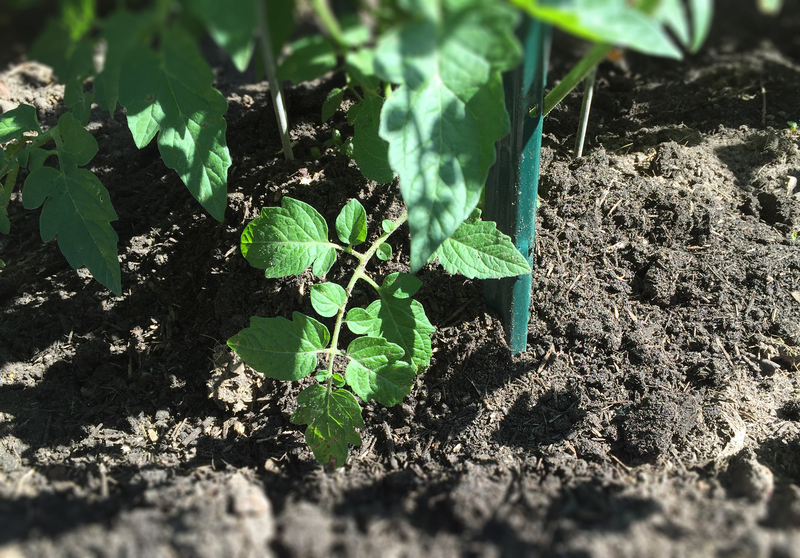 Remove promptly with a strainer and set aside on paper towel to drain. Serve over charred corn tortillas with the red cabbage, diced avocado, chopped cilantro, Pico de Gallo salsa, Mexican crema and hot sauce. NOTE: For a crunchier coating, reserve the Panko bread crumbs in a separate mixing bowl and double the volume to one cup. After dipping the fish chunks in the batter, roll in the Panko crumbs, then deep-fry as shown. A four-quart cast-iron chicken fryer is ideal for this recipe. You only need a couple inches of peanut oil. I am not a racist. I never have been. And I resent being called one. This is extreme-left socialism, and this kind of bigotry has no place in America. Make no mistake — my observation is not one of Conservatives vs. Liberals. It is simply a stance of the author not supporting an individual who wants to further divide this country through hate by means of his product. You be the judge. Last time I checked, America was still a free country. And my readers, of course, are still allowed to shop where they want and exercise their right to free speech, which I will always respect. However, pitting people against each other in the guise of “Love” is a ruse by Bill Penzey, who’s only concern is making as much money as he can over a very contentious election. Funny thing is, he’s pissed off a lot of his customers, and I, for one, will not be coming back. In the interest of an open discussion, leave your thoughts below – none will be censured. 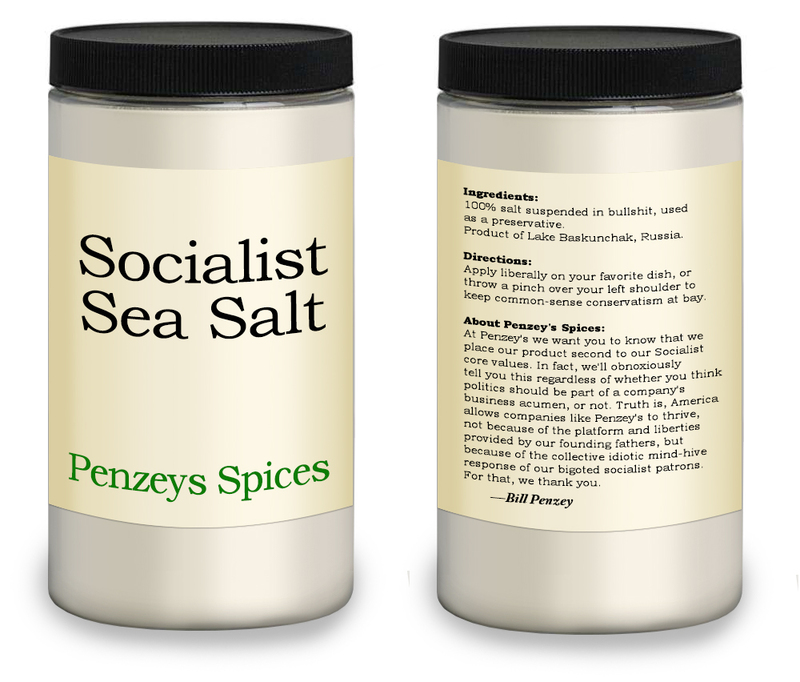 Penzey’s Spices announces new product. I threw this together when I found salmon filets on sale at my local supermarket. 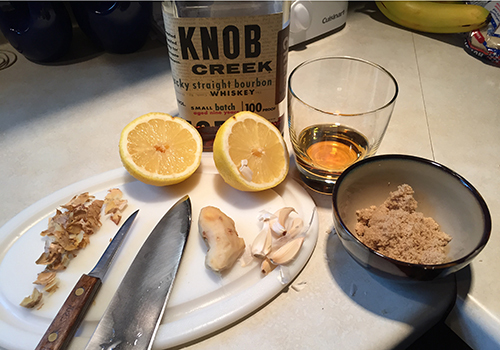 Pre-prohibition style Knob Creek bourbon is 100-proof and aged 9 years – the high alcohol content assures a kickass glaze when fired over real wood charcoal. 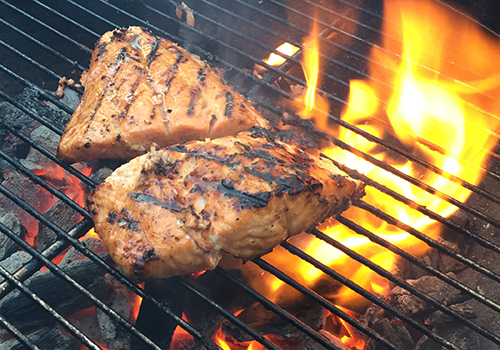 Make sure the fish you select is very fresh – grill with the skin-side down and use care when turning the filets so you don’t ruin the presentation – salmon is very fragile when cooked and will fall apart if handled too much. Prepare the marinade ingredients and mix well in a bowl. 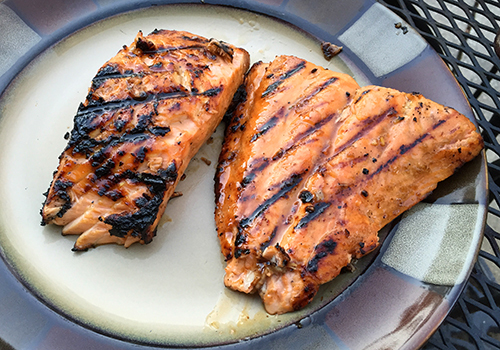 Place the salmon filets in a Ziplock bag and add the marinade. Seal and let sit in your fridge for at least four hours. Rotate every hour. Melt the butter over low heat in a small, heavy cast-iron skillet and add the glaze ingredients. Stir constantly until the sugar is dissolved. Shut off the heat. Remove the fish from the refrigerator and let warm at room temperature for 1/2 hour before grilling. Prepare an outdoor Weber grill with enough charcoal for a medium-hot fire. When the charcoal starts to turn white, level and oil the grilling grate with a little vegetable oil so the fish doesn’t stick. Baste again and then CAREFULLY flip the fish over so the skin side is up. (The skin should be charred and peel off – this is normal.) Baste and grill covered for another three minutes. Baste. Flip back over and baste one last time. Grill covered an additional 2 minutes until the filets flake easily and the internal temperature in the thickest part reads 130°-F. Remove and serve immediately. Fish should flake apart when done in the thickest part of the filet. Enjoy — This recipe is amazing! Achieving a proper 100-proof alcohol-infused char after applying the bourbon glaze. This is amazing paired with smoked salmon. Some people shred the salmon and mix it in with the spread. I feel this kills the presentation. 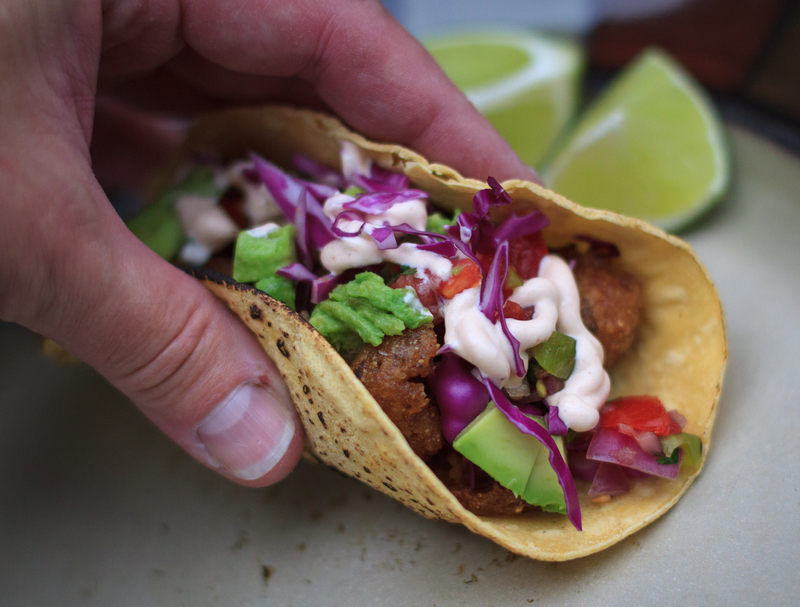 Let the fish take center stage by adding it chunked on a cracker with this spread as a flavorful base. Beat the cream cheese with the lemon juice and mayo until desired consistency is achieved. Add the capers, red onion, parsley and pepper. Fold in until combined. Let stand in the fridge covered for about an hour. Spread on crackers and sprinkle with the chopped dill, then top with chunked smoked salmon. This recipe takes me back thirty-five years to my childhood in northern Wisconsin. My grandmother would fry up 60 fresh-caught bluegill fillets in a large black cast-iron skillet for the family. There is no better home-cooked meal – period. I hope you enjoy this special recipe as much as I do. Preheat a 5-quart cast-iron dutch oven over medium-high with the vegetable oil. 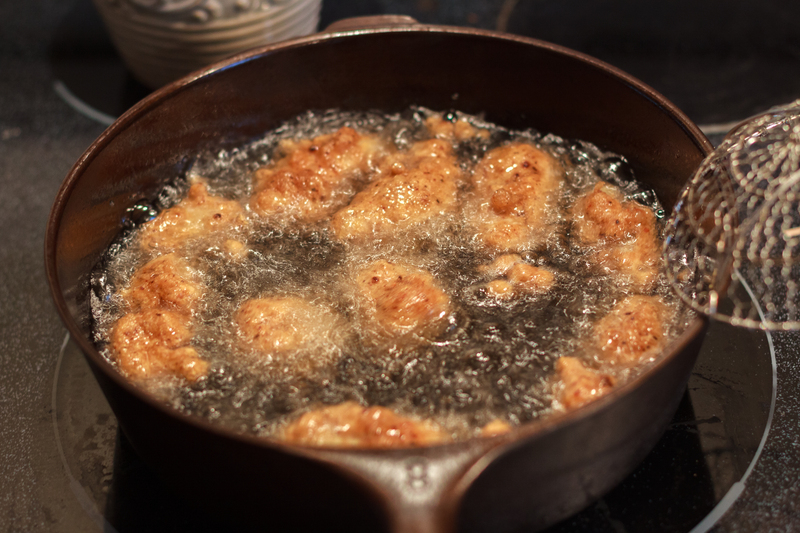 The oil will be ready for deep-frying when a drop of water sizzles on contact. Place the buttermilk and egg in a wide, shallow baking dish. Whisk thoroughly. Place the bluegill fillets in the dish and coat evenly. Prepare a two-quart plastic food storage bag with the flour, salt, pepper, garlic powder and paprika. Shake well. Shake off the fillets and add to the bag, about eight at a time. Coat evenly and transfer to the dutch oven; frying in batches. Deep fry until just lightly golden-brown. Ensure that the bluegill fillets are not overcooked. Using a Chinese spider strainer, remove and transfer to a heated platter with paper towel to absorb the excess frying oil. Serve immediately with lemon wedges and tartar sauce. This is a great recipe for true Wisconsin-style battered fish. This recipe will work well for two pounds of fish – whether it be fresh-caught bluegills or walleye pike. You can also double the recipe, but make sure to mix in TWO separate bowls (don’t combine in one bowl) or it will not come out right. My choice for beer — Leinenkugel’s Red Lager. Don’t forget to let the batter sit for one hour before using. 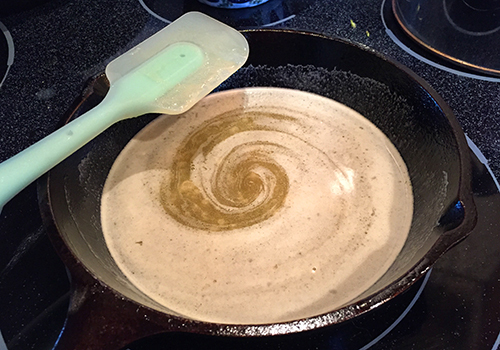 Sift the flour and salt, add the butter and egg; add the beer gradually, stirring only until smooth. Let stand for one hour at room temperature. Dip fish in batter and fry in hot oil. Larger cuts of fish can be quartered into 2″ chunks for even cooking. Remove when golden-brown and the internal temperature of the fish reaches 145° F.